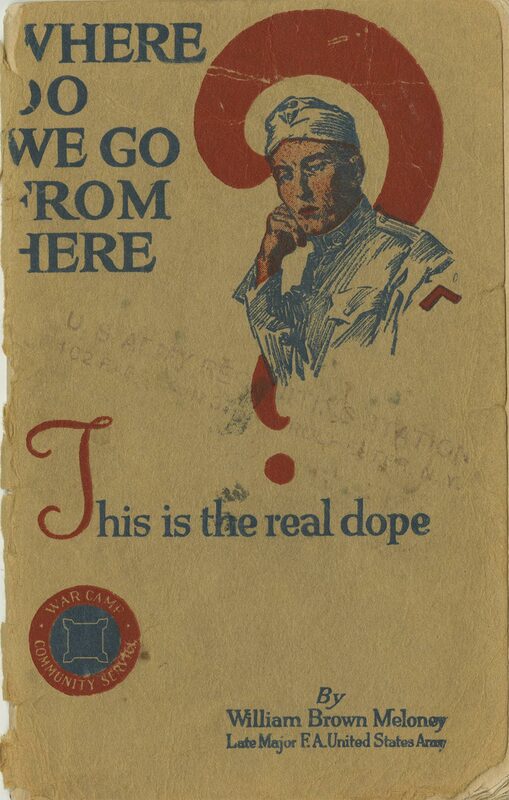 Two million U.S. servicemen returned from Europe after the war. 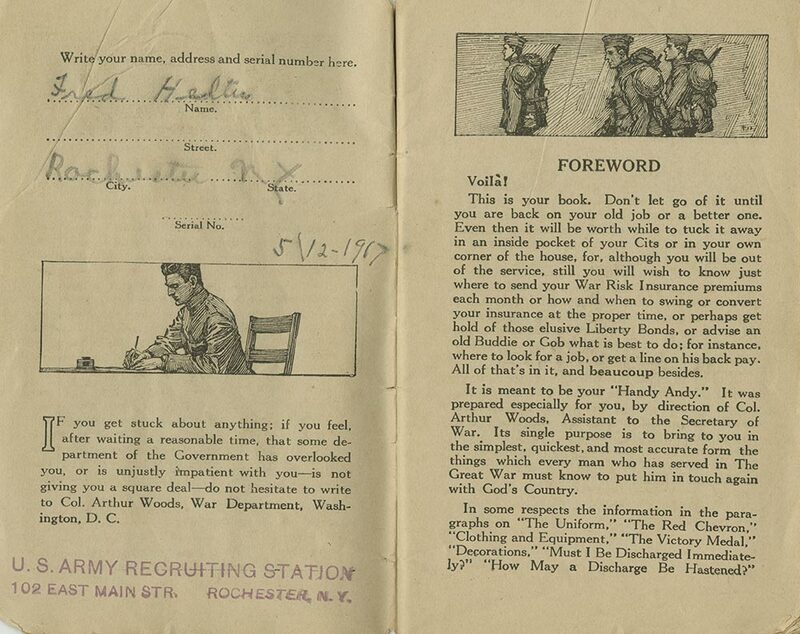 The War Department provided vocational training to injured soldiers and commissioned employment aids. However, much reintegration was supposed to be self-directed. 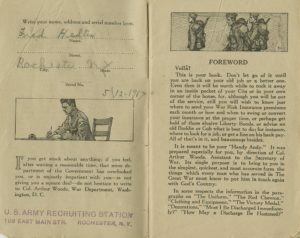 This War Department handbook instructed former servicemen to contact old employers, return to college, join railroad or farm ventures, and read up on new trades at American Library Association buildings set up in demobilization camps. Where Do We Go From Here? provided advice and encouragement for servicemen returning to civilian life. 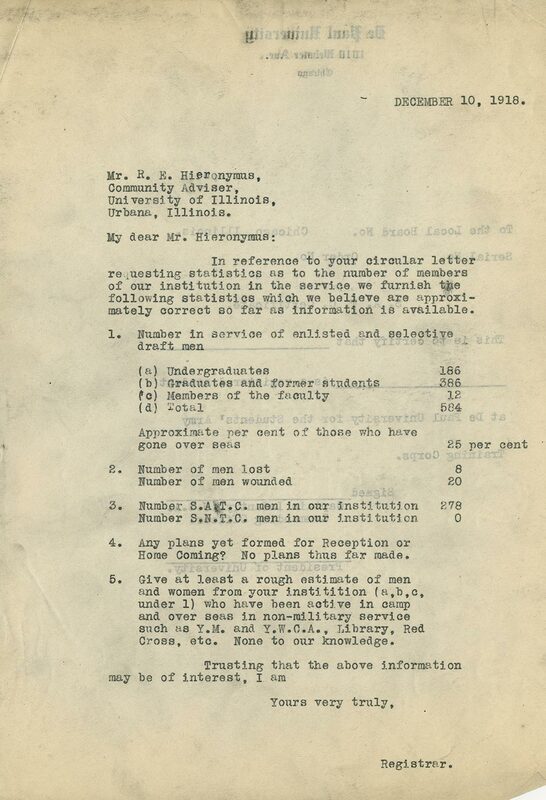 Final accounts indicate 186 undergraduates, 386 alumni, and 12 faculty members, or 584 total “DePaulians,” entered military service during World War I. Wartime enrollment remained relatively steady, thanks in part to the 278 men who joined the DePaul SATC. 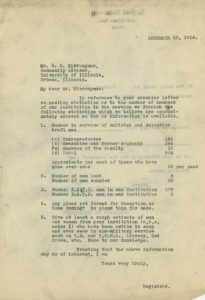 After the war, enrollment jumped nearly fifty percent, as men returned from the front and DePaul expanded its Lincoln Park and Loop programming. 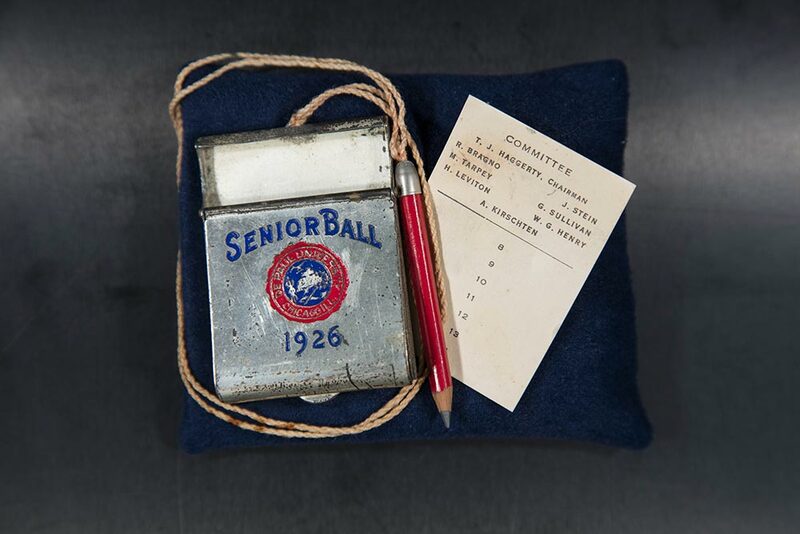 By 1920, total enrollment had doubled pre-war levels. 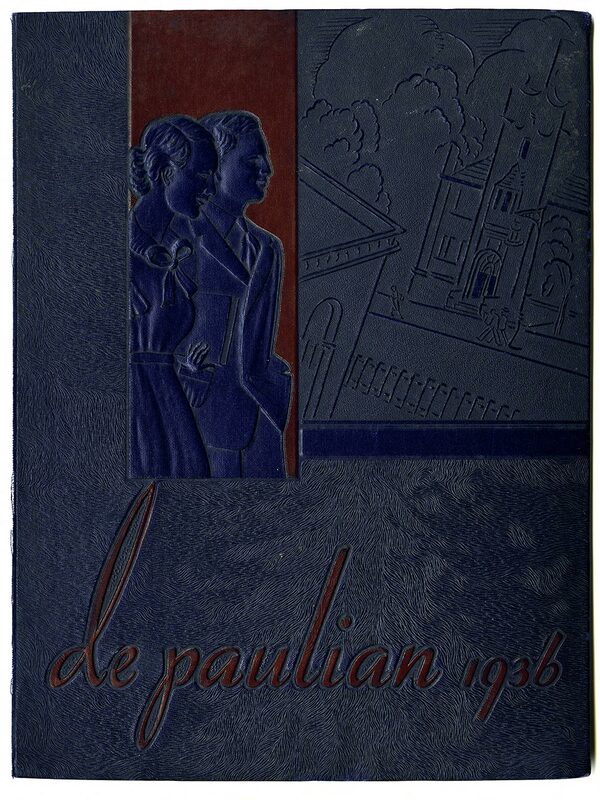 Post-war growth saw DePaul solidify many enduring aspects of university culture. The Minerval gave way to the DePaulia student newspaper in 1923 and the DePaulian yearbook in 1924, which chronicled the university for over 70 years. Campus life blossomed into a full calendar of academic and social activities, and DePaul’s most iconic symbol, the Demon mascot, took shape. Originally called “D-Men” for the large initials on their sweaters, DePaul’s athletic teams were well-known as “Demons” by the middle of the booming 1920s. 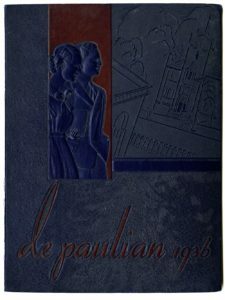 The Wards continued their association with DePaul after the war. Fr. William Ward served as DePaul Academy principal beginning 1924. Fr. Joe Ward returned to DePaul to teach after his 1920 ordination. 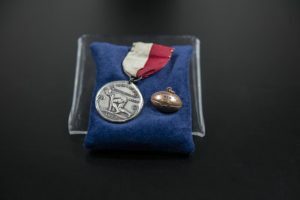 He became a prominent campus figure, serving as an English professor and working as College Alumni coordinator through the 1960s. Fr. Joe and Fr. William Ward saw DePaul University grow from a small college, based around St. Vincent’s Church, to an internationally known university. When Fr. 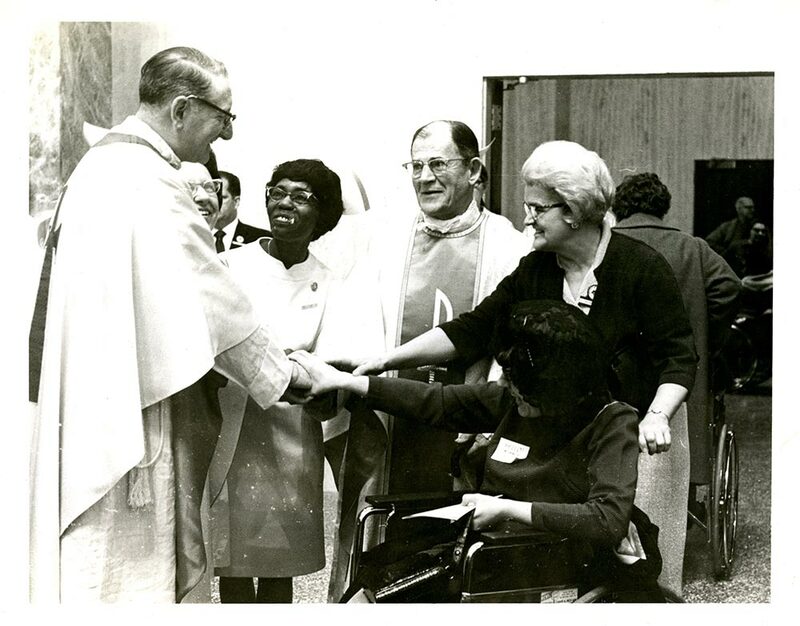 Joe passed in 1978, DePaul’s total enrollment topped 12,000 students in over 100 degree programs, a far cry from the 300 students with whom he and his brother attended.